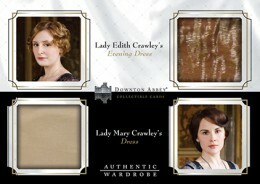 At first thought, some might think of Downton Abbey as a curious trading card choice. It actually has a lot to offer, particularly for a modern release. 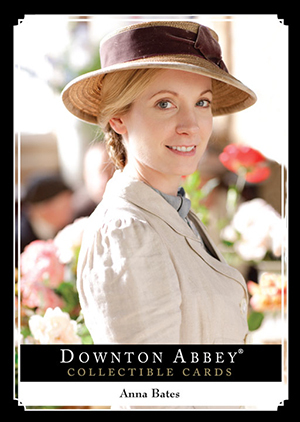 And that's exactly the angle 2014 Crytpozoic Downton Abbey Seasons 1 and 2 trading cards take. 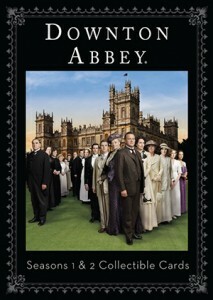 Autographs, wardrobe cards, sketch cards and more take on the high-rated, critically acclaimed period drama from the UK. 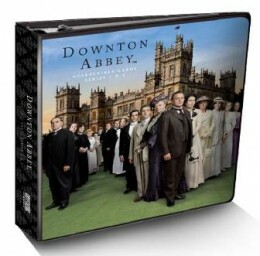 The 2014 Cryptozoic Downton Abbey Seasons 1 and 2 base set is relatively large, coming in at 126 cards. These include images and content from the first 15 episodes (a lot of British shows have much shorter seasons than their American counterparts). 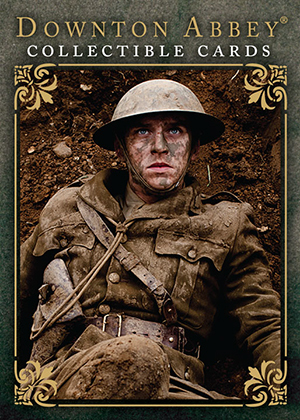 Every other pack comes with a mini card parallel intended to mimic tobacco cards that were popular in the time period in which the show is set. 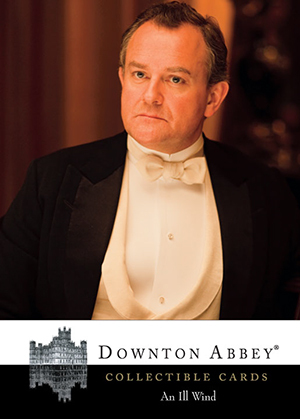 One of Downton Abbey's greatest strengths is its cast. It's large and features many respected names. They may not be part of the blockbuster scene, at least not yet, but don't be surprised if several of these actors continue to ascend the Hollywood ranks. 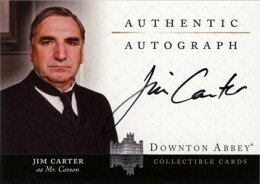 2014 Cryptozoic Downton Abbey Seasons 1 and 2 autographs include Michelle Dockery (Lady Mary Crawley) and Jim Carter (Mr. Carson). Every box has one autograph. 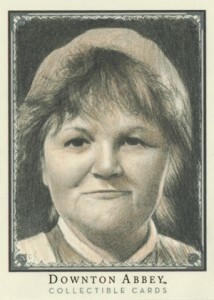 Wardrobe Cards have material used in making the show's intricate costumes. Single- and dual-swatch cards combine to land one per box. 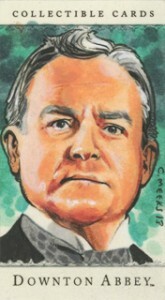 Sketch Cards based on the actors are also in the set, although they're rare. Regular sketch cards are inserted 1:595 packs while mini sketch cards fall 1:1,674 packs. 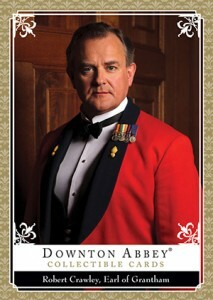 Basic inserts include Upstairs, Downstairs and At War. All three are inserted two per box. 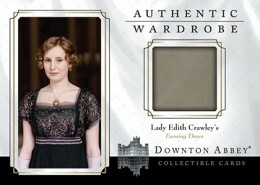 Sold separately, there's also a binder that comes with an exclusive Wardrobe Card. 126 cards. Shop for base sets on eBay. 14 cards. inserted 1:24 packs. See a full autograph gallery. 12 cards. Inserted 1:12 packs. Inserted 1:595 packs. Mini Sketch Cards inserted 1:1,674 packs. Inserted 1:24 packs. W07 exclusive to binder and not in packs.